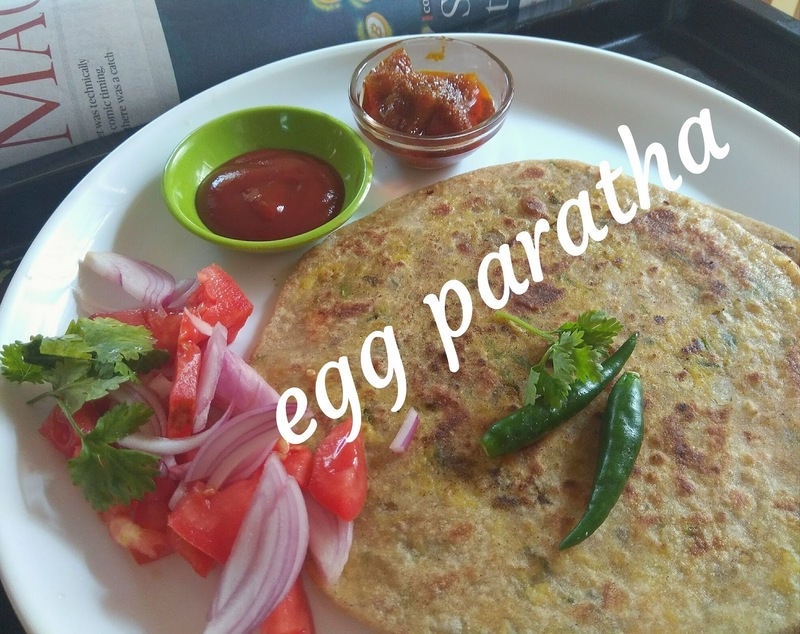 I confess that sometimes I am very lazy.It is sometimes very difficult to carry myself to the kitchen,especially on weekends.It is then that I get inspired to think of recipes that can by whipped up in a jiffy.So try out this easy to make paratha ,with the most scrumptious filling in a chill Sunday morning. 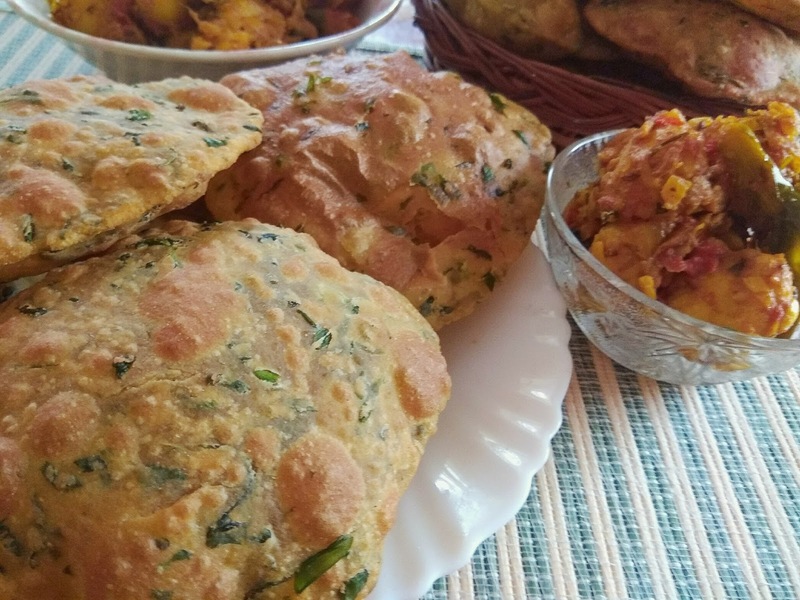 I usually have the chapati dough kept ready in the fridge.it is very useful always. If I plan to make parathas the next morning I make some dough the previous night and keep it ready in the fridge.this not only saves time in teh morning ,but it also allows a good standing time for the dough and makes the parathas softer. I have tried parathas with both,the wheat flour or atta,or the all purpose flour or the maida..The ones with wheat flour is not only the healthier option ,but I found them to be tastier.So I make parathas with the regular chapati dough which means that no oil is added to the dough. Now the big question- Do the parathas taste good ? They are tastier than you think. I make them the crisp type and also the soft type which can fold like a kerchief. 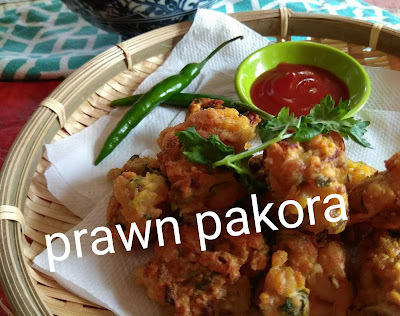 While making parathas it is important to see that the filling does not come out.If the filling does not come out ,they should puff up on the griddle(tawa) like a phulka. Add the oil once it has puffed up. 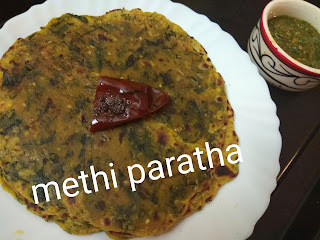 When oil is added once the paratha has puffed up it absorbs very little oil.I manage with only half a teaspoon oil ( including both sides) for each paratha. To make them crisp ,leave them on medium heat for one minute before you flip it to the other side.If you want them soft ,take them out of the tawa soon after it has puffed up and you have added oil.Keeping them in a closed container can also keep them soft. Then the eggs,they always come to the rescue when you have to prepare something very quick.So I make sure I never run out of stock. 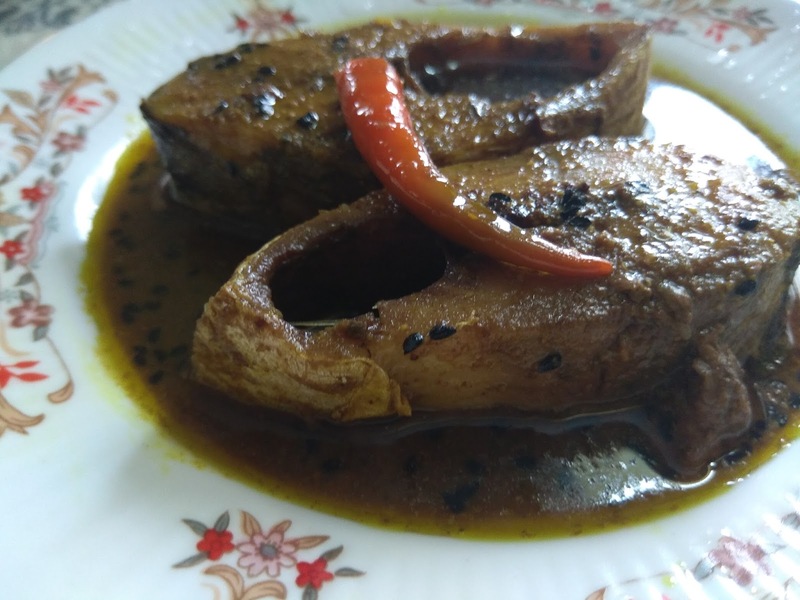 Many of you will agree that there has been days when the dosa batter is ready in the fridge ,but the coconut was out of stock at home.Here is a chutney for those days,but believe me you will never miss your coconut chutney once you get this on the table. This chutney has other advantages too,as I find it as abetter option for packing in lunch boxes,as this does not get stale soon.This can also be made the previous evening and stocked in the fridge ,to be packed in lunch boxes early next morning. 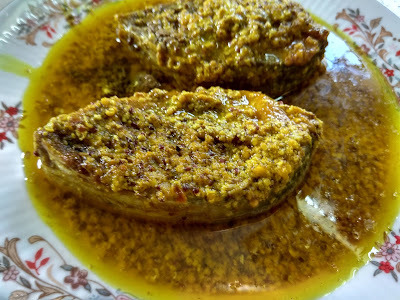 This tangy and slightly sweet chutney is prepared with the always available ingredients at our homes and so finds a very welcome place on our table. 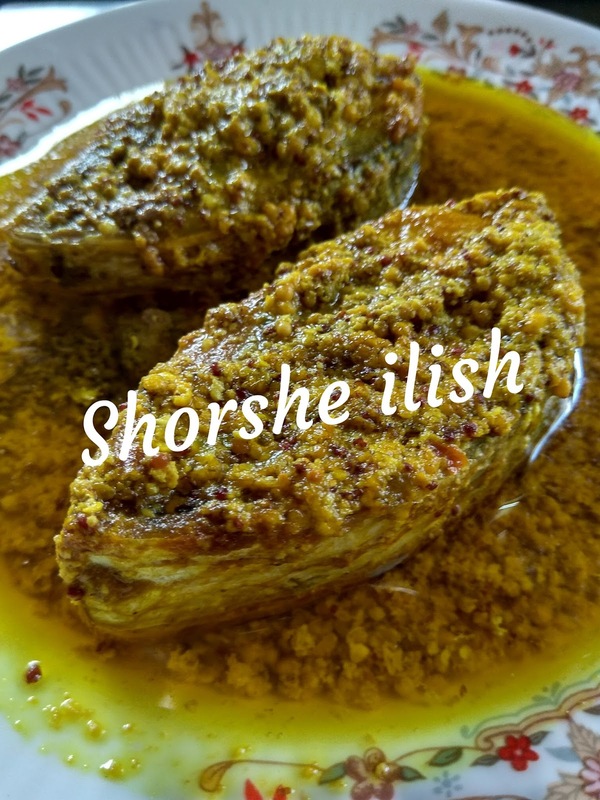 Shorshe Ilish or Hilsa in a mustard paste is the ultimate preparation in Bengali cuisine .This dish is undoubtedly any Bengali's delight . The Hilsa is available only for a few months in the monsoon every year.The irresistible flavor and and a very soft and smooth texture could be the reason behind its popularity among the eastern states of India.The hilsa isvery oily fish and so it can be cooked in little oil.The fresh good quality ones actually release oil in the pan. 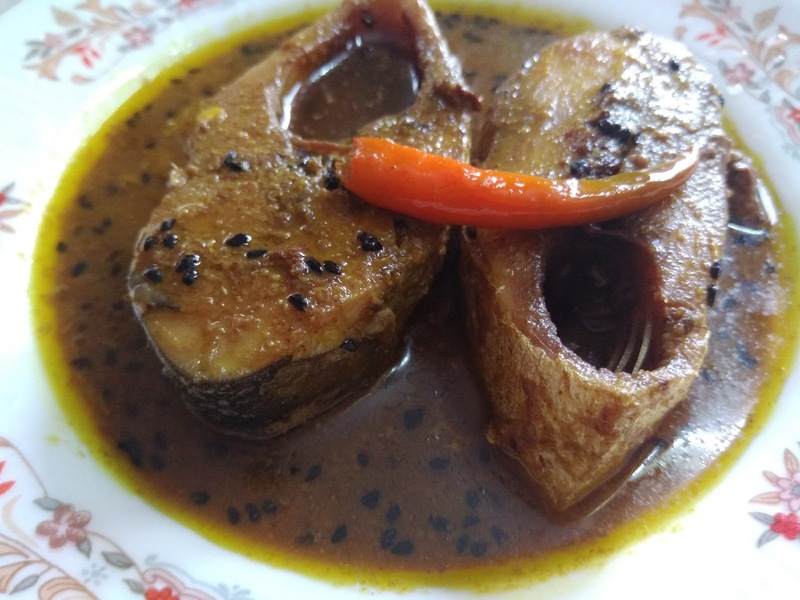 The hilsa can be cooked in many ways,and tastes best when cooked in mustard oil.It can be cooked in a mustard seed paste or a simple gravy of only cumin powder.The Hilsa is also relished with eggplant in a gravy. Today I am sharing the easiest and the quickest method of cooking the Hilsa.It is steamed in mustard paste and enjoyed with plain rice.